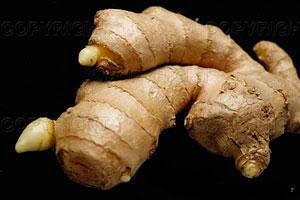 Ginger invigorates, and oil soothes. Try this double dose for dry skin. Preheat oven on lowest setting. Finely grate the ginger just enough so that you have about an 1/8 teaspoon of ginger "juice." To obtain the juice, squeeze the freshly grated ginger over a small bowl. Place the ingredients (including the ginger) in a glass container and heat just until the cocoa butter is melted and the oils are blended. Pour into a clean, dry container and store in a cool dry place. You can add a few drops of orange or other essential oil for a nice twist. Why not have a look at Skin MD Natural in the UK dry skin lotion. Great value and excellent for dry skin conditions. coco butter is great and natural. u can get a BIG bottle at walmart for like $3. The mask sounds like something that might work for me. I have dry skin around my nose and chin so I’ll see if it’s there the next time I hit up Longs. Sounds good for dry skin... Maybe my mother will like it. Thanks for the review!